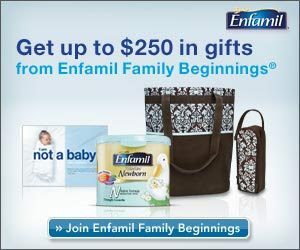 FREE Gifts From Enfamil - Up To $250! You are here: Home / FREEbies / FREE Gifts From Enfamil – Up To $250! FREE Gifts From Enfamil – Up To $250! Are you expecting a baby? Join Enfamil Family Beginnings and receive up to $250 in FREE gifts along with expert advice for every stage of your baby’s development.